The privately-owned KARL DEUTSCH Company has been involved in the development and fabrication of NDT instruments since its foundation in 1949. 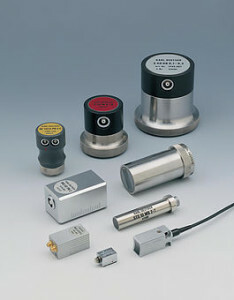 Digital and analogue ultrasonic flaw detectors, wall thickness gauges, coating thickness gauges, crack depth gauges, ultrasonic testing systems, instruments and accessories for magnetic particle testing, and penetrants are part of our product range. Characterised by continuous innovation and product reliability, the trade marks ECHOGRAPH, ECHOMETER, DEUTROFLUX, LEPTOSKOP, FLUXA, KDCheck and RMG are well-recognised. Application experience, theoretical knowledge and manufacturing know-how spanning more than six decades as well as the standard compliant quality management guarantee state-of-the-art instruments and accessories and a leading position with regard to quality, reliability and economy also for the future. M2M develops, produces and sells Ultrasonic and Eddy current systems for Non Destructive Testing. All M2M products are using the latest advances in phased array technology. M2M products are issued from technological transfers from the French Atomic Energy Commission (CEA), one of the largest research institute in Europe. 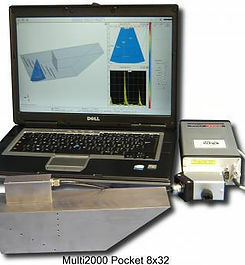 M2M systems are taking advantage of the CIVA simulation software developed by CEA which is integrated in the systems. M2M systems are modular and can be adapted to a wide range of application, from labs to the production line, including field. The software GUI can be customised and adapted to all kind of users, from operator to expert.